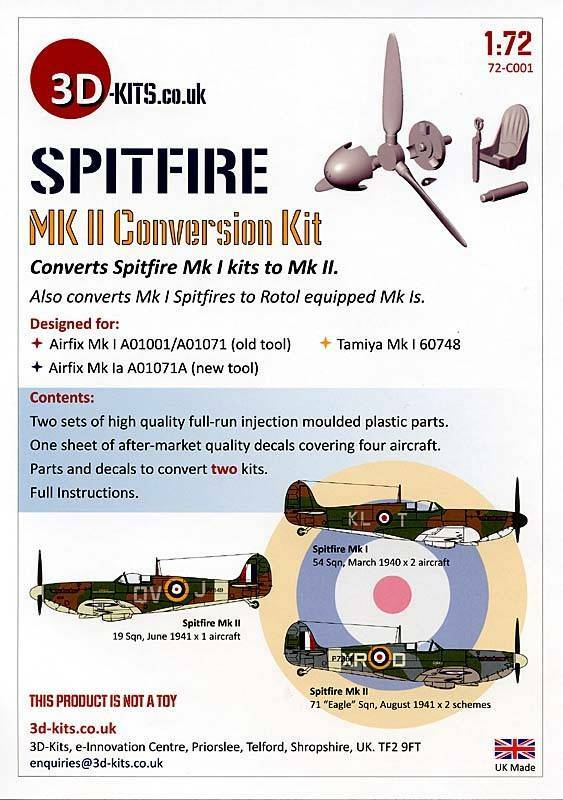 Conversion Kit (for Airfix and Tamiya). Two sets of full-run injected plastic props. 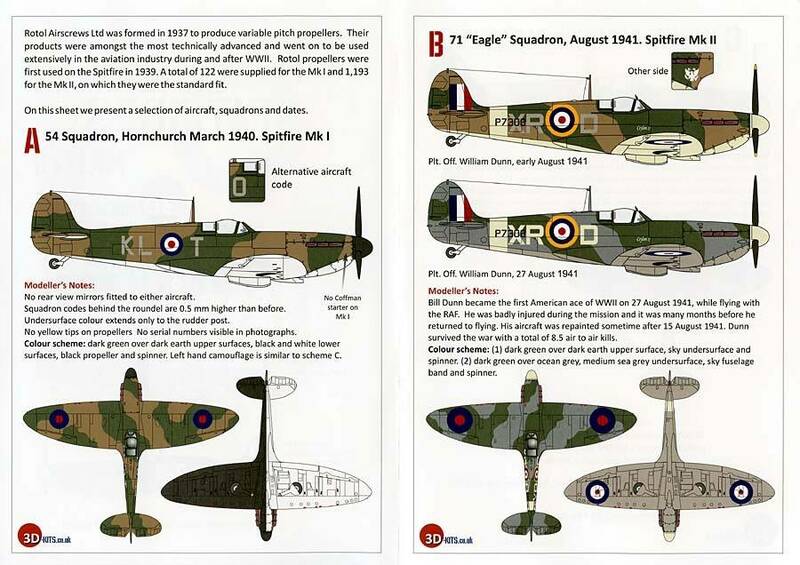 and decals for four Spitfires Instructions. 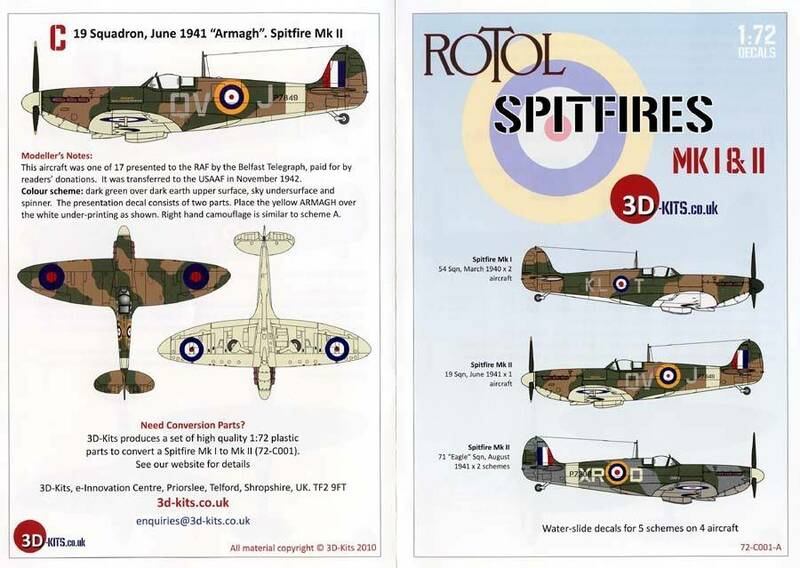 Sufficient to convert two kits.